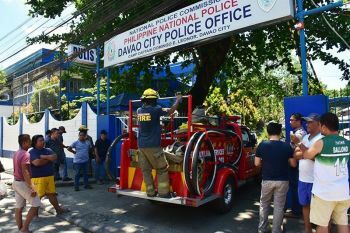 IN A bid to promote a cleaner environment, the Church of God in Davao City held a cleanup drive last November 26 in Cabaguio Avenue, Davao City, as part of the Mother's Street campaign of the church. A total of 175 members of the Church of God cleaned two kilometers of Cabaguio Avenue and collected around two tons of trash ranging from disposable bottles to unusable tires. During a short program, Councilor Danny Dayanghirang commended the Church of God for its efforts to lead a cleanup drive. A barangay worker, who joined the community service, said, "It is very rare that a Church will have concern on environment's cleanliness and dealt with it hands-on." The barangay worker also said he was very glad that he was given a chance to participate in the church's campaign and expressed gratitude to the volunteers. The cleanup drive is part of the "Mother's Street," a global cleanup campaign of the member churches of the World Mission Society Church of God led by General Pastor Kim Joo Cheol. The volunteer service aims to clean 40,000 km of the earth's circumference with "a mother's heart, which truly cares for families' health and happiness." Through this campaign the church hopes to extend a "mother's love" in the communities they are in in the different parts of the world. Mother's Street started on November 19 and will run until the first week of December. It was also conducted in USA, Australia, Finland, Japan, Taiwan, Brazil, Argentina, Mexico, Paraguay, Uruguay, India, South Africa, Cameroon, Ghana, Mongolia, and Cambodia, among others. The members of the Church of God who participated in Mother's Street movement cleaned up garbage, dried leaves and trimmed tree branches, got rid of gum, fly posters, torn banners, weeds, and cleared snow on the street so that they can give comfort to their neighbors and brighten their hearts. In the Philippines, the "Mother's Street" was conducted in San Pablo, Laguna on November 19 and on November 26 it was held in Pagadian, Cebu City, Manila, Baguio, Davao City, Calamba, and Laoag City. Meanwhile, in Caloocan City Church of God, around 980 participants joined the campaign last November 27. 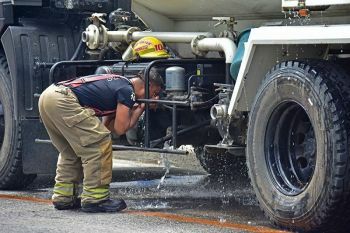 It will continuously be held until the first week of December, where about 1,400 participants from Ilo-ilo City, Taytay, among others, are expected to join the street cleanup campaign. 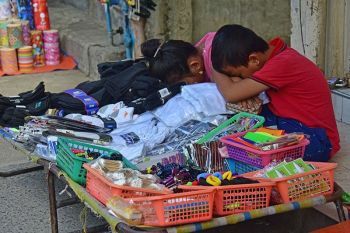 Likewise, Churches of God in Quezon City, Barangay Central, Las Pinas, Pamplona, 3rd Avenue, F. Ocampo also conducted "Mother's Street" on December 3.